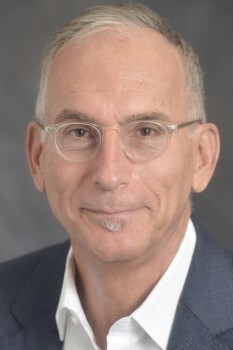 Mark S. Kaplan, Dr.P.H., is professor of Social Welfare at the UCLA Luskin School of Public Affairs and holds adjunct appointments in psychiatry at the Oregon Health & Science University and in epidemiology and community medicine at the University of Ottawa. He received his doctorate in public health from the University of California, Berkeley and holds master’s degrees in social work and public health with postdoctoral training in preventive medicine at the University of Southern California. His research, funded by the National Institutes of Health and private foundations, has focused on using population-wide data to understand suicide risk factors among veterans, seniors and other vulnerable populations. Dr. Kaplan is the recipient of a Distinguished Investigator Award from the American Foundation for Suicide Prevention. He has contributed to state and federal suicide prevention initiatives. Dr. Kaplan testified before the Senate Special Committee on Aging at its hearing on veterans’ health and was a member of the Expert Panel on the VA Blue Ribbon Work Group on Suicide Prevention in the Veteran Population. He serves as a scientific advisor to the American Foundation for Suicide Prevention.